Michigan has more than 115 lighthouses, but Crisp Point on Lake Superior in the U.P. is a tough one to find from land. The roads leading to the lighthouse are not well-marked and are not paved, but the difficulty reaching the lighthouse allows for a visit unimpeded by hordes of tourists. The lighthouse is not near any major towns; Sault Ste. Marie is probably the closest. However, based on this review and others, seeing the lighthouse with your own eyes makes up for the difficulty in finding it. Not too far from Crisp Point, and a little more accessible by road, is the Whitefish Point Light Station and the Great Lakes Shipwreck Museum. The museum is open every day from May through October. Its exhibits include shipwreck artifacts and maritime history programs. Visitors can take tours of the Lighthouse and lightkeeper's quarters. Overnight lodging also is available in the restored Coast Guard lifesaving crew's quarters. I have never had the MSU Dairy Store ice cream, but I always see it mentioned as the best ice cream in Michigan by Michigan State students and alumni. Unlike most ice cream shops, the Dairy Store is part of MSU's College of Agriculture. It sells dairy products, including a wide variety of cheese, from the school's dairy plant where students learn about the dairy and food processing fields. As for the ice cream, there are flavors dedicated to each Big 10 school, so Michigan Wolverine fans can order a Maize-N-Berry without feeling like traitors to their school. Beaver Island is the largest island in Lake Michigan, but it is sparsely populated. It is 32 miles from Charlevoix on the mainland and can be accessed only by air or boat. 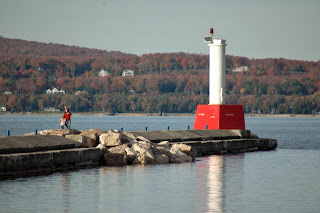 Daily ferry service from Charlevoix runs from May through September, and the trip takes approximately two hours by boat. Two small air carriers also allow travelers to fly to the island in 20 minutes. The island offers a myriad of outdoor activities and, despite its small population, has restaurants, a supermarket, shops, motels, bed and breakfasts and vacation home rentals. Like many industrial cities with waterfronts, Detroit neglected its waterfront on the Detroit River for much of the 20th century. 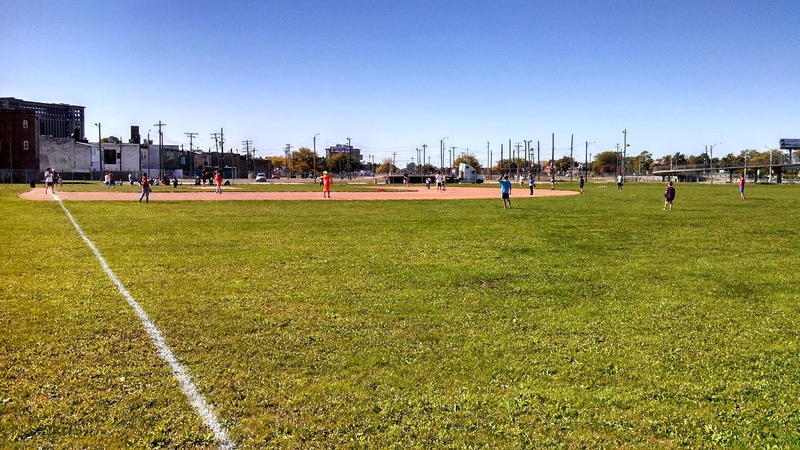 However, recent efforts by the Detroit Riverfront Conservancy have transformed the riverfront into a wonderful place to go for a walk or run during the warmer months. The RiverWalk includes several parks, lawn chairs, a carousel, water fountains, a sand volleyball court and more. The RiverWalk is still developing, but the strides that the Riverfront Conservancy has made in the last ten years are astounding. With 50,000 acres of wilderness, the U.P. 's Tahquamenon Falls State Park is the second largest state park in Michigan. It is also home to one of the largest waterfalls east of the Mississippi. The Upper Falls have a drop of nearly 50 feet, and the Lower Falls are series of five smaller falls four miles downstream on the Tahquamenon River. The park offers hiking and camping in the warmer months and snowmoboling, cross county skiing and snowshoeing in the winter. The city of Petoskey is located on the shores of Lake Michigan's Little Traverse Bay in Northern Michigan. It is famous for its many Petoskey stones, fossilized coral which is also Michigan's state stone. Ernest Hemingway vacationed in the area as a boy and set several of his Nick Adams stories in Petoskey. Today, it is a popular tourist destination with beaches, outdoor activities, dining and shops. Lake Huron has beaches throughout the Lower Peninsula and Upper Peninsula. When you are on the eastern side of the state in the summer months, hop in the car and take a dip in this Great Lake one weekend. The lake also offers abundant opportunities for fishing and boating. U.S. Route 10 is an east-west highway that begins in Bay City on the eastern side of the Lower Peninsula and ends in West Fargo, North Dakota. The highway is broken up by Lake Michigan, so travelers must take a car ferry from Ludington, Michigan, to Manitowoc, Wisconsin, in order to continue on U.S. 10. The S.S. Badger takes four hours to cross Lake Michigan and is not technically a part of the U.S. Highway system. 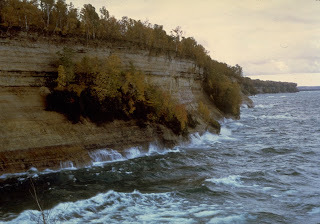 Pictured Rocks National Lakeshore extends for 42 miles along the shores of Lake Superior in the Upper Peninsula. Pictured Rocks offers beautiful beaches, more than 100 miles of hiking trails, waterfalls, forests and, of course, the stunning sandstone rock cliffs along Lake Superior. I have never been and really hope to visit someday soon. Chelsea's Purple Rose Theatre is a not-for-profit theatre company founded by Emmy-Award-winning actor Jeff Daniels. Daniels was raised in Chelsea, just outside of Ann Arbor, and returned to live in Chelsea, despite the demands of traveling to act in television and movies. He founded the theater in his hometown in 1991. The company performs original productions throughout the year, including plays written by Daniels. I have never been to the opera. It is not that I do not appreciate the music; I consider much of it to be beautiful. I just have not had a lot of interest in going to the opera with so many other forms of entertainment competing for my time. However, sometimes you need to try something new. The Detroit Opera House offers several operas throughout the year, as well as ballet performances. Michigan is gaining recognition for the quality wine it produces. The area near Traverse City always has had a strong tourism industry, but more tourists are coming to the region for the wine instead of heading out west to Napa or to Europe. Visitors can take wine tours to multiple vineyards through the region's rolling hills with views of Lake Michigan. The Lansing River Trail is a 13 mile trail along the Red Cedar and Grand Rivers between Michigan State University in East Lansing and Dietrich Park in northern Lansing. Runners, cyclists and walkers can travel along the trail past landmarks like the Potter Park Zoo. During the fall, the tree-lined trail bursts with the colors of the changing leaves. Like much of the Lake Michigan shoreline, Holland has dunes for visitors to see. The city's 22 acre Tunnel Park has the unique element of a tunnel that passes through one of the dunes. 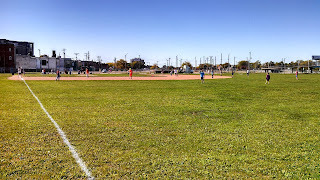 The park also offers a beach, a children's playground and a dune stairway that offers stunning views of Lake Michigan. 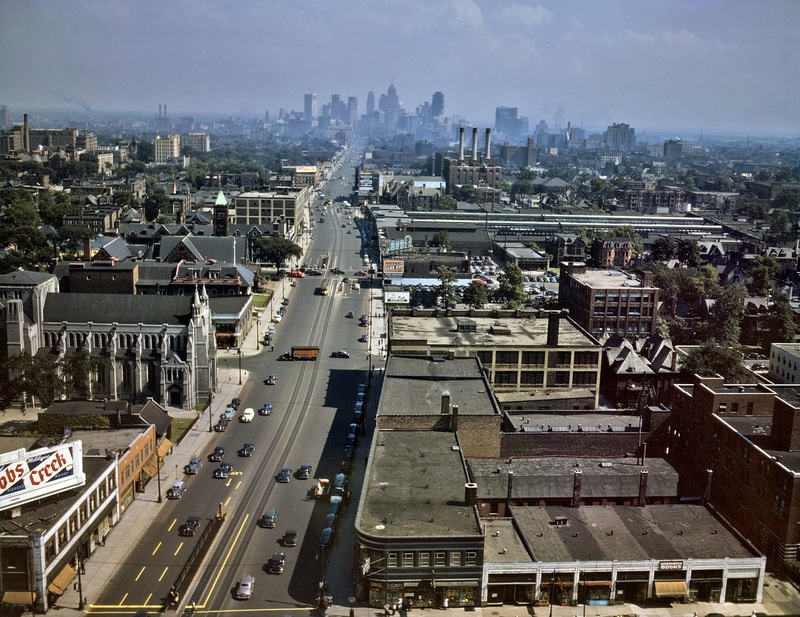 Woodward Avenue runs 22 miles from Downtown Detroit to Pontiac and passes through several cities along the way. The historic avenue is being revived in Downtown and Midtown Detroit. The Detroit section also offers views of several old churches, Campus Martius, the Detroit Institute of Arts and many more old buildings with beautiful architecture. Heading northbound, Woodward takes travelers through suburbs offering smaller downtowns with shopping and restaurants like Ferndale, Royal Oak and Birmingham before ending in Pontiac. It is quicker to get from Pontiac to Detroit on I-75, but you will miss out on the many sites Woodward offers. With 104 weekend days to relax and have fun, offer at least one of your days to help others. Serve homeless people at soup kitchen. Pack clothes and food for delivery to the poor. Hand out water to runners at a charity race that raises money for a good cause. Michigan has many wonderful charities that could use the help and there many resources to find a good cause, including this one. The Detroit River has been the home of hydroplane racing every summer since 1904, except during World War II. The Gold Cup awarded to the winner of the APBA Gold Cup race is the oldest trophy in motor sports. The boats are called hydroplanes because they reach speeds near 200 miles per hour, and a majority of the boat's hull actually lifts off the water, or planes. With four Great Lakes, Lake St. Clair and numerous inland lakes, Michigan offers plenty of opportunities to learn to sail or to take a sailing trip where a captain and crew whisk you around the lakes for beautiful views of Michigan's shorelines and sunsets. The Noquemanon Trail Network in Marquette offers 45 kilometers (or 28 miles) of U.P. trails with varying degrees of difficulty. They are open year-round and are perfect for running, mountain biking, hiking and cross-country skiing. Several running, biking and skiing races are held on the trails each year, including a triathalon. Bonus: There are a few things I would love to do on the weekend that are offered only on weekdays. 1. Visit and Tour the State Capitol. 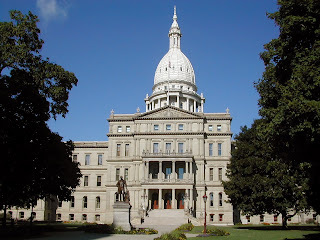 The State Capitol Building in Lansing is the heart of Michigan's government, but it is not open for tours on the weekends. 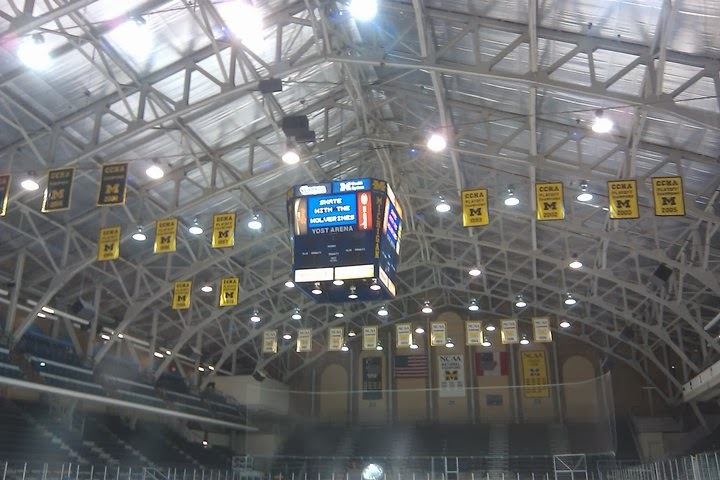 It is Michigan's third capitol building. 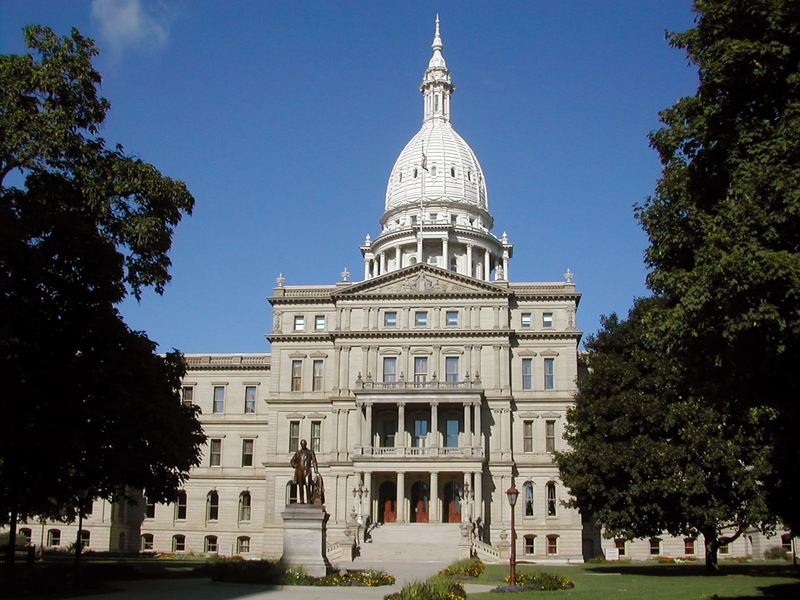 The original capitol was in Detroit before the state government moved to Lansing in 1847. The current building opened in 1879. For information on scheduling a tour, click here. 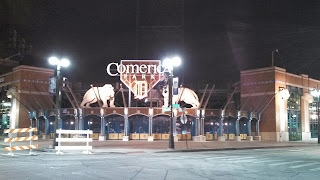 I have been to many Detroit Tigers games, but I have never gone on Opening Day. Baseball's opening day is the most exciting day for all baseball fans because every team is still a contender this early in the season. 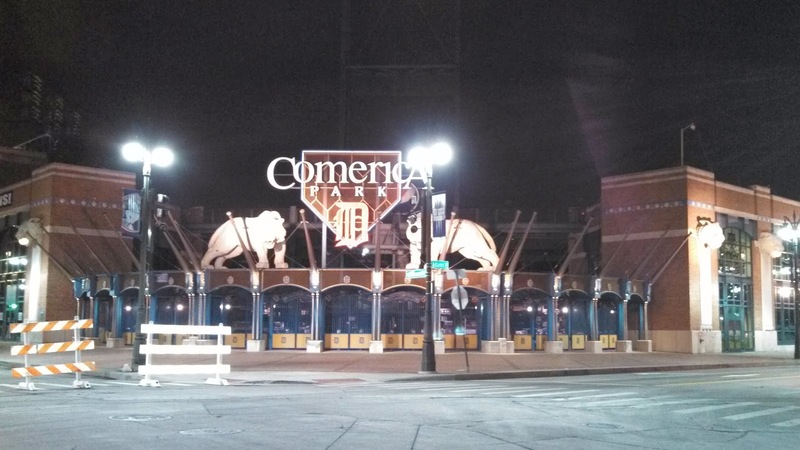 Opening Day traditionally falls on a weekday, requiring fans to play hooky from school or work to attend the game at Comerica Park. Watching Detroit's Thanksgiving Day Parade is fun, but marching in it must be a thrill. The Parade Company allows people to march in one of their 300 Big Heads (giant papier-mâché heads). For more information on how to enroll as a Big Head, click here.